Funskool is India’s one of the leading toy manufacturing companies promoted by the MRF group. 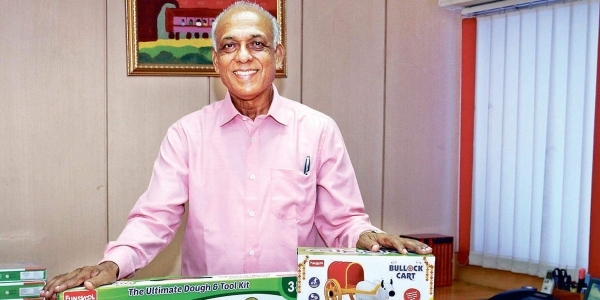 Being very upbeat about the future of the toys market in India, John Baby, CEO, Funskool (India) Ltd is all geared up for the good times ahead. Here is what he has to say on the challenges for the industry and where is he taking Funskool now! With 16 warehouses across the country, 6 regional offices, a marketing and sales organization consisting of over 85 personnel and a network of over 5000 retail points the infrastructure gives Funskool, the vital edge in the market. Baby elaborates his growth plans as: We are about to complete our third manufacturing plant to cater to the rising export and domestic demand. We intend to build on the momentum gained over the last few years in building our own brands while at the same time focusing on the international brands that we distribute. Our foray into retail has also yielded good results and we are planning to expand the Funskool store network. We have also launched a major program which we call “Operation Reach” to expand distribution to smaller towns where most branded toy companies do not operate. Baby’s view on the toys market in India is: Currently, the market is a fraction of the world market but with all major players making a beeline for the Indian market and the domestic players also prepared to invest in marketing, we see the market growing steadily for several years to come.